The Burton Street Foundation is a community benefit society in Sheffield. It specialises in providing support for people with learning disabilities. 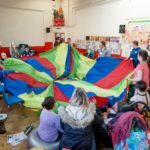 They work with almost 250 adults and 50 children every week, with needs ranging from moderate learning difficulties, to profound and multiple learning disabilities. They also have many facilities which are open to the wider community. These include office and meeting spaces, functions and events spaces, a fully stocked bar, a gym, and a sports hall. Regular events include film screenings, toddler groups, bistros, dances, markets, and more. Burton Street employs around 150 local people, and their fully accessible site is used by around 2500 people each week. The Burton Street Foundation has a huge social and economic impact in Hillsborough, and across Sheffield. By expanding their campus, they will double their capacity to organise more community events, provide a wider range of services and have a greater impact on the local community. The Power to Change grant will leverage existing funding and enable the Burton Street Foundation to double their capacity by refurbishing the Bamforth building, a former kitchen furniture factory nearby. 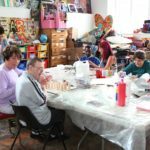 This will trigger the Burton Street Foundation’s ‘Enterprise 100’ scheme – get 100 adults with learning disabilities from across Sheffield into sustainable employment over the next 3 years and help to overcome some of the barriers to employment for people with learning disabilities. With more space and staff to run sessions for adults with learning disabilities, the Bamforth building will be used to build up their confidence and skills so they can get jobs. It will also include an independent living space so they can learn to be more self-sufficient. Almost 100 jobs have been safeguarded so far and the Power to Change grant will fund at least six new jobs; 30 local apprentices will be part of the Bamforth building refurbishment project, which will boost local employment. The refurbished Bamforth building will also accommodate new tenants, including the Alzheimer’s Society, Community Transport, and Wood Recycling, which will benefit the local community. They will generate more income, helping Burton Street become a fully sustainable community business. Key to Burton Street’s inclusive culture is the broad range of people that rub shoulders at the site every day. 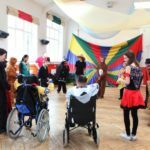 The team work hard to maintain an inclusive programme of events and a unique range of services that appeal to as broad a section of the community as possible. When attracting clients, customers, volunteers and employees, the focus is on what people can do, rather than what they can’t do. 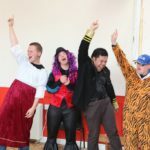 In 2017 they took the uncommon step of recruiting a shadow board, made up exclusively of adults with disabilities who regularly use their services. The work of this board now feeds directly into the governance of the organisation, effecting policy and procedure as required. As a community hub, it is important for Burton Street that inclusion isn’t just an afterthought. It is baked into everything they do.